In 2004 the creators of Tao brought the infamous Asian Bistro from New York to the Venetian Hotel in Las Vegas. From the Pacific Rim to the City of Sin, Tao�s entertainment coplex is perhaps one of the largest in the world. 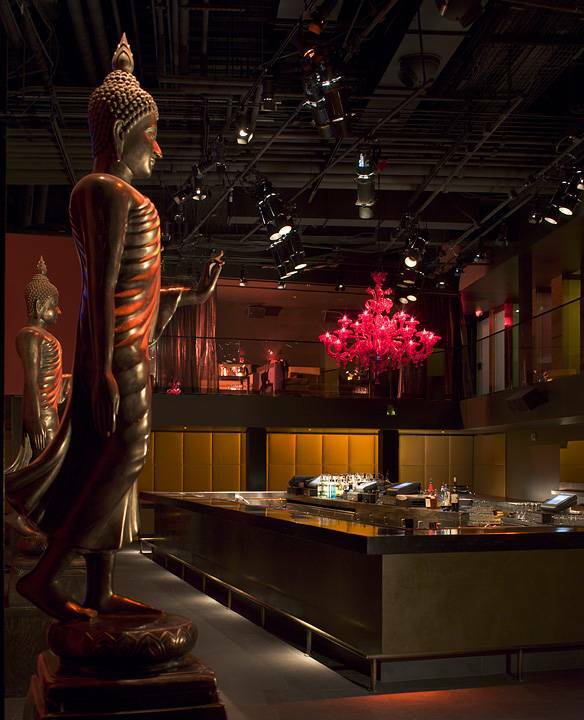 With 37,000 square feet of space, this �Asian City� features Las Vegas� hottest nightclub, coolest lounge, largest banquet facility and of course, the hippest restaruant in town. Even Tao Las Vegas� sister restaurant in New York will be jealous of the oppukence and expense that the owners have lavished upon this venture. Tao Las Vegas� design includes everything from lush velvets and silks, waterfalls and century old woods and stones, to it�s hand carved 200 foot tall Buddha which floats peacefully above an infinity pool complete with Japanese Carp. Specializing in Hong Kong Chinese, Japanese and Thai cuisines, Chef Sam Hazen�s creations include everything from Kobe Beef to traditional Peking Duck. Tao�s critically acclaimed Pan-Asian menu is prepared by Master Chefs with years of training and restaurant experience in their native lands.